When I first saw Berroco’s new yarn, Flicker, I knew I had to knit up a scarf with it. 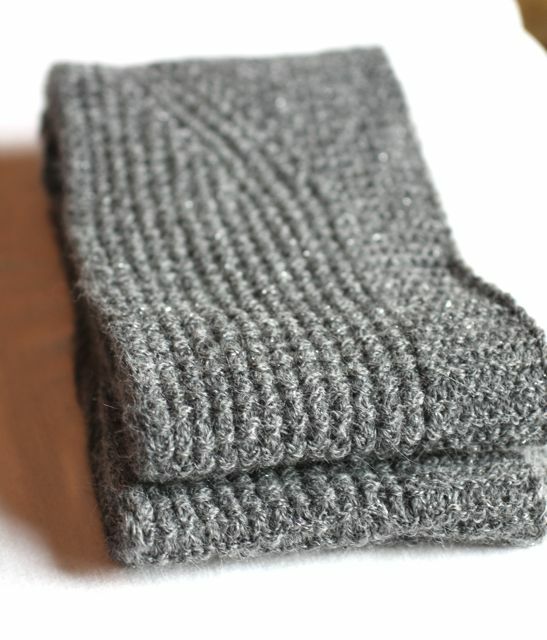 I had been thinking of knitting a scarf, maybe with matching fingerless mitts, with a sparkly yarn and here it was! 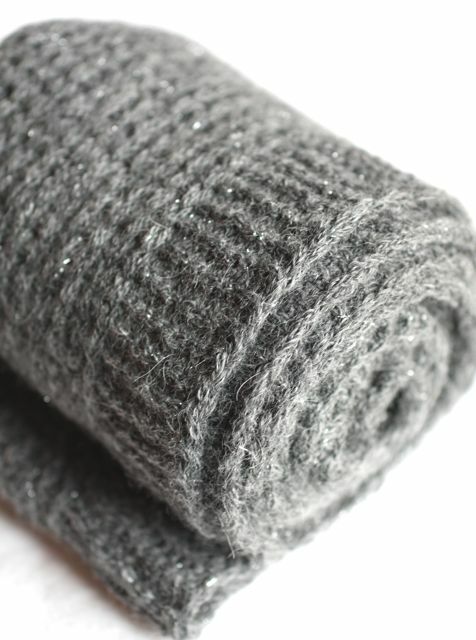 The perfect yarn – super soft alpaca with a filament of sparkle running through it. I’ve had Jared Flood’s “Wayfarer” scarf favorited on my Ravelry for a long time and I thought this would be the yarn to use for that scarf. 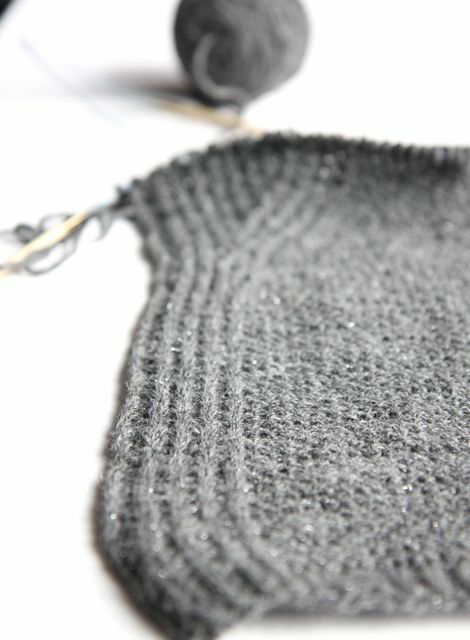 The pattern calls for a tubular cast-on, but I couldn’t bring myself to learn it. I was too impatient to get started. It’s a technique I would still like to learn at some point. I did a regular cast-on, but with #10 needles, so it wouldn’t be super tight and then I switched to #8 circulars, and knitted the scarf on that. The scarf is a favorite now. So soft, and I love the length – plenty of scarf to wrap twice around my neck. 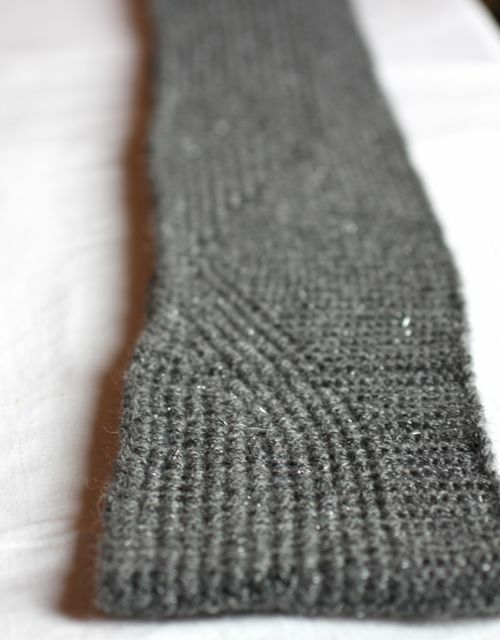 Unblocked, the scarf knitted up to 6″x86″. After blocking, it grew to 103″ in length. Whoa. Needles: 10″ to cast on. 8″ circular for scarf.